What’s Up with All These Weird Tennessee Liquor Laws? There is one thing locals and visitors and transplants to Nashville can agree on: It’s really hard to purchase alcohol here, even for people who are legally allowed to buy it. Until July of last year, the only booze you could buy in a grocery store was beer–and until just this month, only low-gravity beer. Now you can buy wine and beers up to 10% ABV (woo hoo!) but still no higher-gravity beers or liquor (wtf?). You can’t buy anything but beer on Sundays…and only after noon. 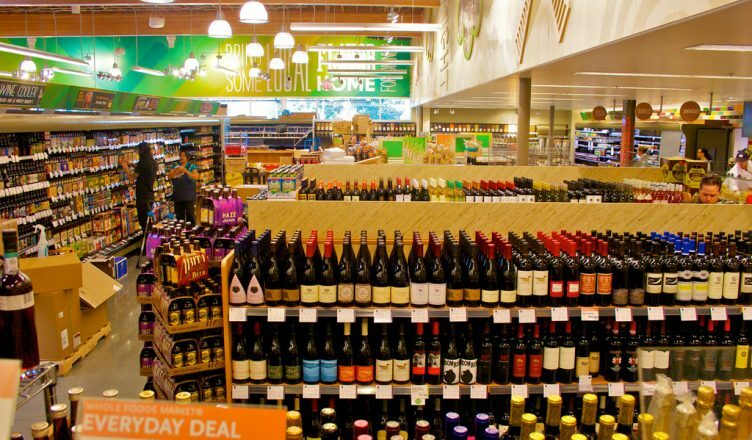 Wine and liquor sales are also prohibited on major holidays. In part, this is the fault of our teetotalin’ ancestors. In 1838, Tennessee became the first state to pass a Prohibition law, though it only applied to hard liquor–not beer, wine, or cider. But in the following years, Tennessee passed additional legislation led by members of the Temperance movement that effectively made it illegal to buy liquor in the state long before nationwide Prohibition took effect. Since 1933–when nationwide Prohibition ended–Tennessee has very slowly eased the restrictions of alcohol sales. Many counties are still “dry,” (including Moore County, home of Jack Daniel’s Distillery) with some counties prohibiting liquor by the drink, some prohibiting liquor stores, and some prohibiting the sale of any type of alcohol at all. Nowadays, the laws have little to do with the will of the people and much more to do with protecting businesses. For many years, state laws required that wine, liquor and other beverages containing more than 6.25% ABV be sold only in liquor (package) stores. Those stores were prohibited from selling any beverage below that amount, so beer sales were restricted to grocery stores. And that’s exactly how the state’s liquor wholesalers and liquor stores wanted it and lobbied for it. The lobbies for grocery and convenience stores (not to mention distilleries, winemakers and breweries), of course, weren’t fans of that setup have been duking it out via the state legislature for decades. Of course, the lobbies aren’t the only factor; existing laws on alcohol sales (including by the drink) are voluminous and the issue of sales in additional types of stores is complicated. There are tons of rules governing the number of liquor stores a person can own, as well as a number of other weird laws put into place as Prohibition was being repealed. In fact, one law–repealed recently–allowed distilleries in just three counties. But the push to change these laws has come from some unlikely people: Republican lawmakers. One wouldn’t normally associate this progressive cause with conservatives such as Bill Ketron of Murfreesboro (who has tried to outlaw Sharia Law and sponsored stricter voter ID legislation) and Ron Lundberg of Bristol who once passed a resolution to congratulate and honor a job well-done for…himself. But without these guys, we’d have no wine in groceries at all. Coming Soon (Maybe): Sunday Liquor Sales? Ketron has stated he’d like to continue to reduce the restrictions and has announced plans to sponsor legislation to allow Sunday sales this year. Before anyone gets too excited, it’s important to note that the Wine and Spirits Wholesalers of Tennessee (historically opposed to alcohol in grocery stores) has a new chief lobbyist. The group’s previous lobbyist (friend of Democrats, The “Golden Goose” Tom Hensley who has been lobbying since the swingin’ 60s) has been replaced by former Republican state representative and Tennessee Republican Party chair, Ryan Haynes. He’s well-regarded by Republican legislators, so we may see a shift in attitudes toward loosening these laws very soon.